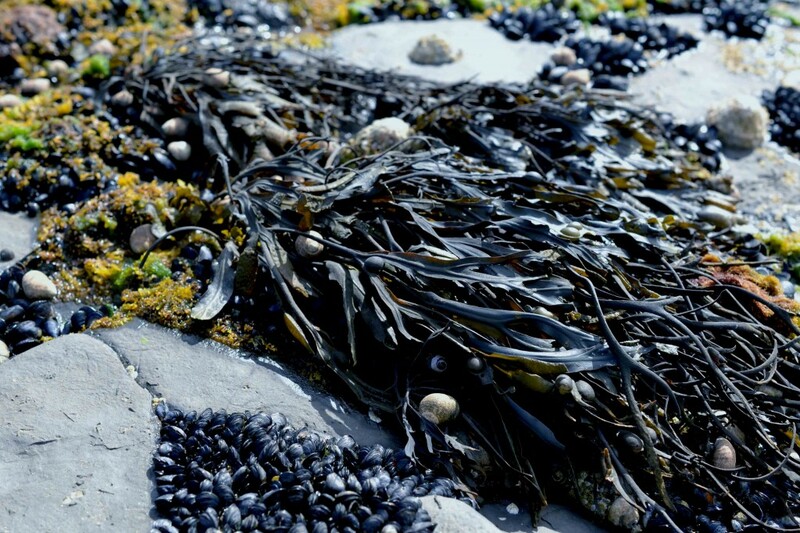 Seaweed – a new kind of edible or a centuries old secret? 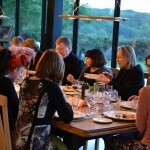 Once I’d picked myself up off the floor having opened the invitation and itinerary to attend the SoSligo Food and Cultural Festival in June, the trip we were being taken on that really jumped out of the page was seaweed foraging with Prannie Rhatigan. I was born and reared within earshot of the sea and now living on top of a hill, almost an hour’s drive away from the coast, the deep yearning for sea air never goes away. I moved away from the seaside as a young child and my teenage years were spent close by to the salty marshes of Maldon, in North Essex, famed for its Sea Salt. I have no recollection of seaweed. Wistful memories tend to be of swimming every day with friends in the creeks, laying in bed listening to the bells ringing on stormy nights as they swayed violently on the tips of masts on yachts moored close by. Depending upon the wind direction, the sound of hammers and drills could often be heard echoing around the village as men worked in the boatyard on barnacle encrusted barges that sat resting, out-of-place high in the air on cradles, paint peeling from their hulls. The sounds were mirrored by the screech of the seagulls as they fought for morsels of food thrown from small fishing boats that lazily bobbed by. But seaweed? I’m guessing there must have been some lying around the muddy marshes but it certainly wasn’t something we ate. It came as a bit of surprise last year when I attended a fascinating talk about seaweed by Sally McKenna, author of Edible Greens, followed by a Japanese cookery demonstration by Fiona Uyema, that not only is seaweed edible, those in the know have eaten it for centuries and it’s packed full of properties that are tremendously good for us. Prannie Rhatigan was reared by the sea too but unlike me, she grew up learning its secrets. 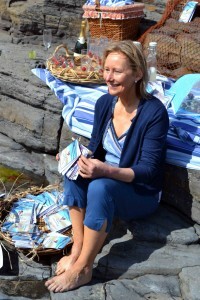 She describes in the introduction of her wonderful book, Irish Seaweed Kitchen how, as a child, she would help her father harvest the glistening seaweed on the edge of the Atlantic ocean throughout the various seaweed seasons. These days, as well as practising as a medical doctor, Prannie is sharing her knowledge and having stood spellbound in welly boots on the slippery rocks, surrounded by an abundant carpet of free and now I know, almost completely edible carpet of seaweed, I can safely tell you she really knows her stuff. Prannie is not only passionate about seaweed in its raw and cooked forms, she’s also convinced of its health benefits and although her medical training dictates that she works from an evidence base, she can see that evidence building. She’s looking forward to seeing the day when seaweeds have mainstream preventative and therapeutic roles as anti-inflammatories, anti-cancer and antivirals among other things. 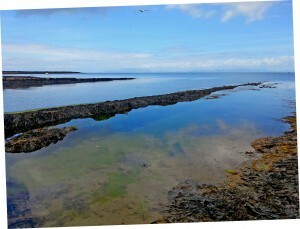 As we carefully wove our way around the slippery Sligo rocks, Prannie introduced us to the magnificent gifts from the sea that lay strewn around us, ensuring that we understood how to harvest seaweed responsibly, explaining that it wasn’t to be pulled out by its roots or from its mother plant, but snipped carefully and sustainably. The waterproof Companion Guide to Edible Seaweeds that’s recently been launched to accompany The Seaweed Kitchen has an illustration showing exactly where to cut each variety of seaweed with scissors, an invaluable guide to anyone new to seaweed foraging. 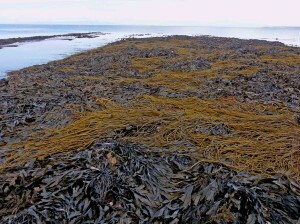 Seaweed might be free, but taking anything from the seashore in Ireland should be done so respectfully and sustainably and Prannie was keen to point that out (see here for the Irish legislation about seaweed harvesting). I could spend pages extolling the virtues of this cook book and guide with a difference, from its thoughtful bookmark that gives quick tips on preparing seaweed to the tried and tested recipes that include starters, canapés and deserts, compiled from local people’s favourite gems, or the thoughtful illustrations and photographs. The book and guide haven’t left my bedside since I arrived home as I’ve loved every moment dipping in and out of them, bringing me back to the seashore every time I do so. You might wonder why someone who lives inland is so excited about a seaweed cookbook and the chances of foraging will be rare? Thankfully there are people who’ve created a business with folk like us in mind, selling little bags of dried seaweed that we can buy from specialist shops and online stores, re-hydrating them when we’d like. 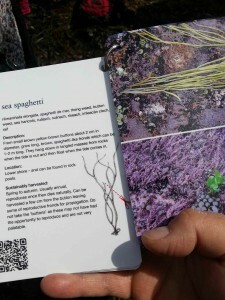 I now have a bag of sea spaghetti waiting to be turned into a salad dish I spotted in Prannie’s book, once I harvest my own cosmic purple carrots. 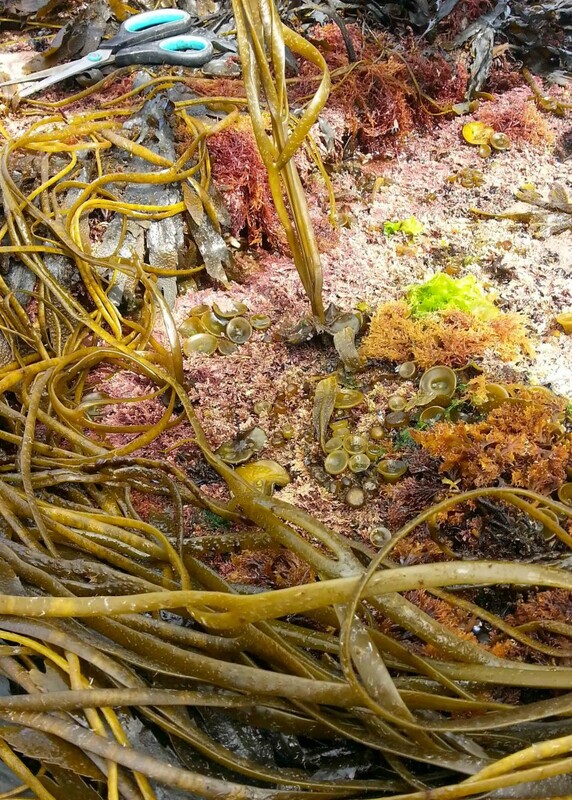 If you’re interested in learning more about seaweed, there are several opportunities for you to forage along the clean waters of the Wild Atlantic Way. 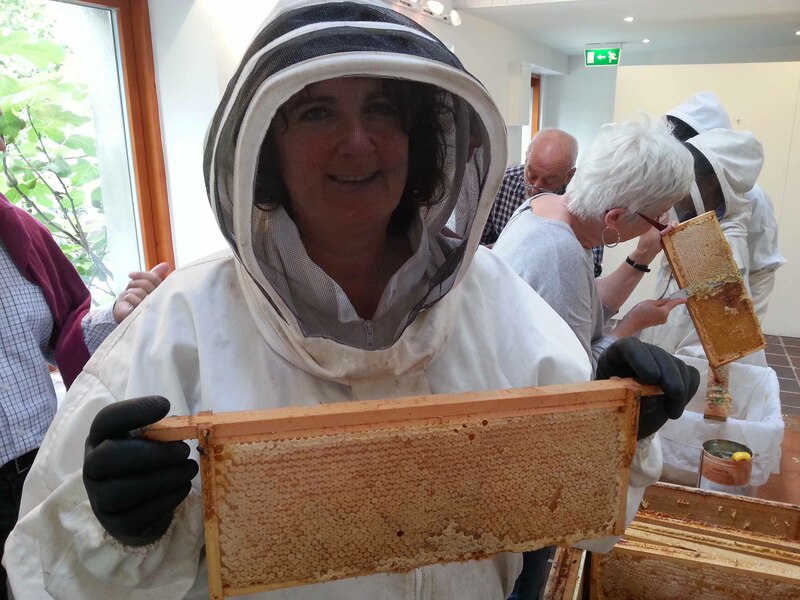 Prannie herself will be hosting a rather special sounding two-day course in the summer that would be a wonderful treat for someone special (treat yourself perhaps) or there are several other foragers dotted along the coastline. 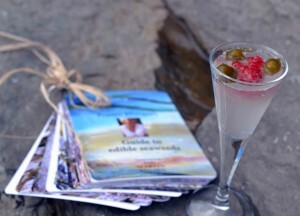 Failing that, buy the companion guide or a seaweed foraging book and see what you can find for yourself. If you’d like to learn more about our seaweed walk, Irish TV accompanied us on our Sligo tour and you can view the episode below (usually found on Sky Channel 191). 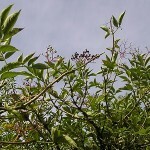 Susan from the Vibrant Ireland blog has also covered the foraging trip in a post here and has included a garlicy seaweed recipe conjured up by her husband Terry. Have you discovered the hidden qualities of seaweed yet? Are you tempted? Oh I love this post. I have been at the beach a fair bit lately with my children and I was thinking that if we had Prannie’s book we could have a wonderful and educational scavenger hunt… and then bring our finds home for cooking or other uses. 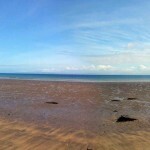 As a desperate attempt to clear my young son’s eczema, I once gave a powdered seaweed a go! It said I was to add it to the bath every night for seven nights. I did… it worked. Completely cleared his eczema in seven days. So he spent years having “green” baths after that! I am a strong believer it the benefits of seaweed but feel I need to educate myself a lot more. ! Aww thanks so much Naomi, appreciate that! Fascinating about the eczema and something I might try here on my 15 year old if I can get him near a bath (rather than his usual shower). I think you’d love the companion guide then as it’s waterproof and handbag size making it a great little book to grab and take anywhere. 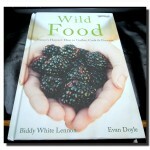 Susan from Vibrant Ireland went foraging after our return with her hubby and commented on how much fun they had and how useful the book was. Enjoy! Loved reading this post and I agree with Naomi, seaweed is one of those things I’ve often thought I’d love to know more about. I tried seaweed for my eczema years ago too but while it helped, my allergies (unknown at the time) were too severe to keep it at bay. 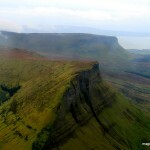 Sounds like you had a great experience in Sligo too- a couple of very full and interesting days. Thanks Lorna, appreciate that 🙂 Perhaps seaweed is something to reconsider now you have a better understanding of your health issues. A few seaweed baths might work wonders! 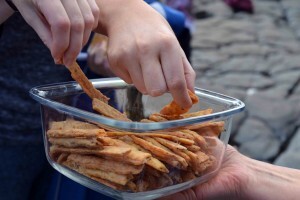 Your title made me wonder – I wonder if people knew it could be eaten during the time of the FAmine? It always seemed very ironical that for those living close to the sea, they still starved due to the blight, because they didn’t have the boats to access the fish. I presume they ate some seaweed as there are stories of people eating grass. That’s a good point Lorna though I kindof suspect note. I recall seeing a documentary that mentioned the people who survived the famine were those who were able to forage the hedgerows or grew other food in their gardens apart from potatoes.